The Metropole blends the oak and pear notes of cognac with the fruity-herbal notes of dry vermouth, and adds two kinds of bitters to bring out the flavors. The trick with vermouth – when you’re not using just a tiny amount in a dry martini, that is – is to invest in a good vermouth (they’re not that expensive, anyway). Cinzano makes a good dry vermouth, for example. 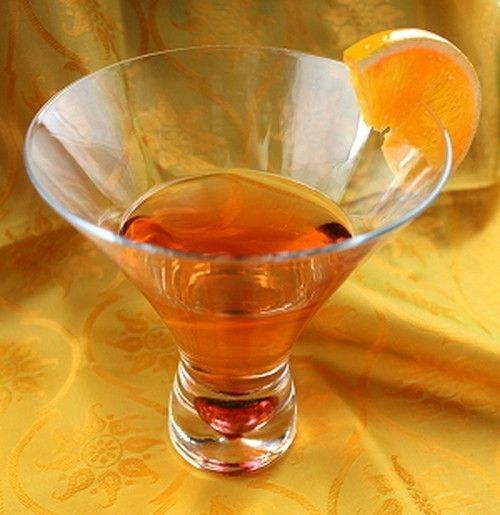 You can save money on the cognac, since cocktail cognacs need only be reasonably drinkable. Pour everything into a martini glass and stir. Garnish with an orange wedge.